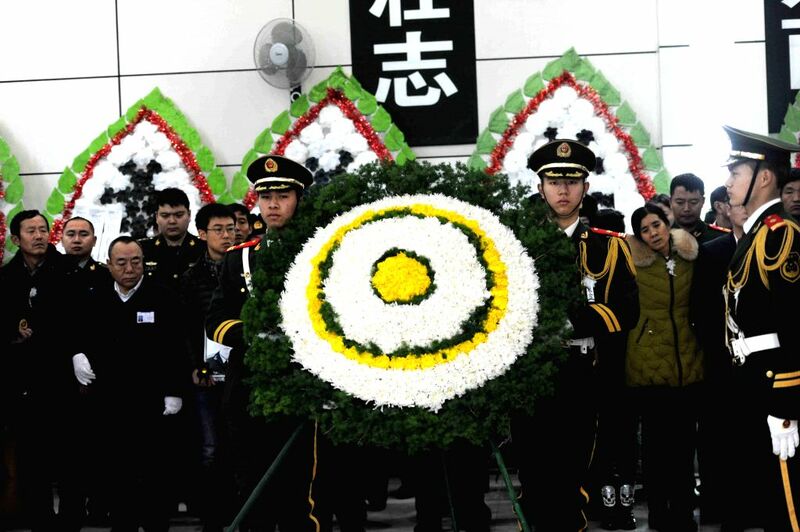 HARBIN, Jan. 8, 2015 - Soldiers carry a wreath at the funeral for five firefighters in Harbin, capital of northeast China's Heilongjiang Province, Jan. 8, 2015. A serious fire broke out at a warehouse on Jan. 2 in Harbin that killed five firefighters. Of the deceased firefighters, the youngest was 18 years old and the oldest 22.